It is important to note that a thorough consultation explaining the key points about the maintenance and different types of hair extensions is essential. We use a specific bonding material for applying our human hair extensions which is not the industry standard. The standard bonding method involves an industrial type adhesive. However, the difficulty in the removal process and the increased risk to our clients’ hair means this is not suitable for some of our clients. As a result of this finding, and providing our advice is followed and the correct brush is used, we use what we feel is the safest method of application. The application and removal process is overseen by our management team. Natural shedding process is 100 – 150 hairs per day for the normal scalp. It is useful to understand your natural hair shedding process. When using hair extensions your hair will shed in just the same way as it does when not using hair extensions, there is an acceptable amount of hair shedding which generally equates to one quarter to one third of the hair originally used to apply each professional hair extension. This hair will stay in the extension but shed from your scalp. 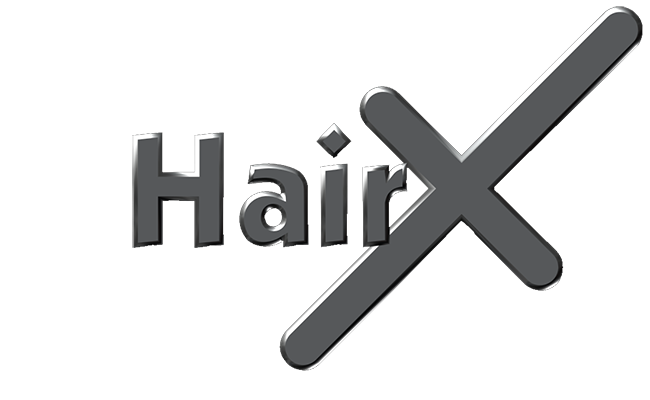 If a client is concerned and feels her hair is shedding above the normal range, then she should consult a manager at Hair X as soon as possible. In real terms this is extremely unlikely to ever happen. 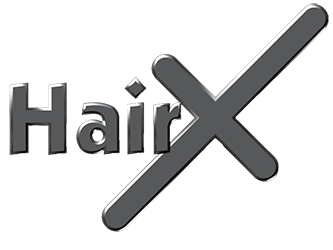 We use the safest bonding method and our staff are experts in applying extensions, even to very fine hair. However we discuss this briefly on our website and in consultation appointments to make clients aware of what is normal and abnormal. Always use a hair extension brush or a brush with spaced, smooth bristles. Intensive Hair Sheen; spray lightly over hair before brushing, always hold the tops (root area) of your hair if you have very long hair extensions. Or if you have naturally fine hair. Always brush from the ends up to the roots, removing any tangles as you move up. Always brush the tangles out before washing. Hair extensions should be washed 2-3 times a week, just as you would with your own hair. Only use shampoo that has been recommended by your hair extension specialist. By using the correct products, your hair extensions will last longer and look better. Light coloured hair extensions, over 18 inches long, should have an Intensive Treatment every week throughout summer and every 2 weeks throughout winter, to keep the hair in great condition. All conditioners and leave-in products should be applied to the middle and end of the hair only. Do not apply them to the scalp or bonds. To protect your hair from becoming heat damaged, never do more than 3 straightening or hot roller sets in one week. After 3 times, the hair needs to be washed again, re-hydrated, renourished and have new protection applied. When your hair starts to grow, your hair extensions will move away from your scalp area. After 3-4 months, we recommend that your extensions should be placed back to their original placement. We have a 3 month hair growth cycle (on average). Old hair will shed and new hair will grow in its place. This is why we recommend replacement at this time. Always check your hair extensions have not tangled together. Separate them if you find they are webbing together. New hairs grow down and can web them together if your hair extensions go unchecked. If you find that you are unable to separate them, contact your hair extension specialist for help.